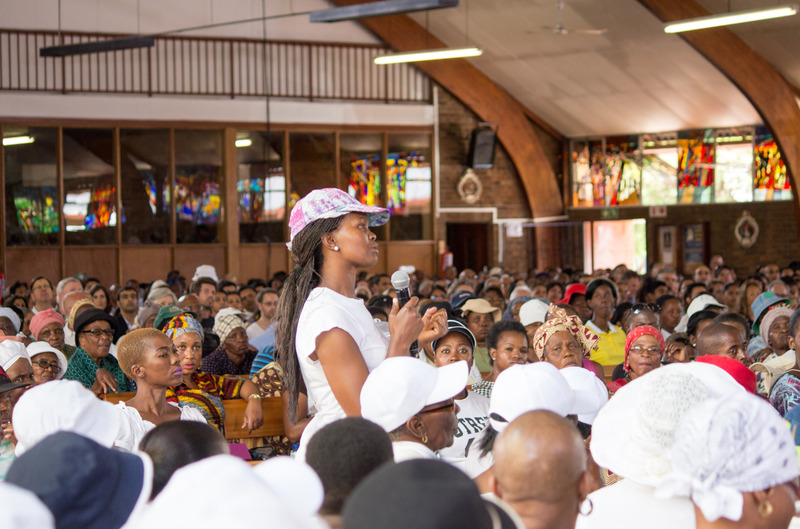 Taking place in Soweto on December 7 and Sebokeng on December 9, the events were largely organized and attended by facilitators and participants in the TPRF Peace Education Program (PEP), an innovative series of workshops that is helping improve thousands of lives in these communities. 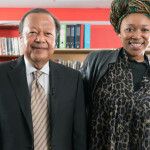 The free workshops feature videos of TPRF Founder Prem Rawat’s international talks, and he accepted invitations from organizers to deliver keynote addresses at both forums. Many of the PEP workshops are organized out of the office of Ernest Leketi, head of the Youth Development Department for Johannesburg’s Department of Social Development. 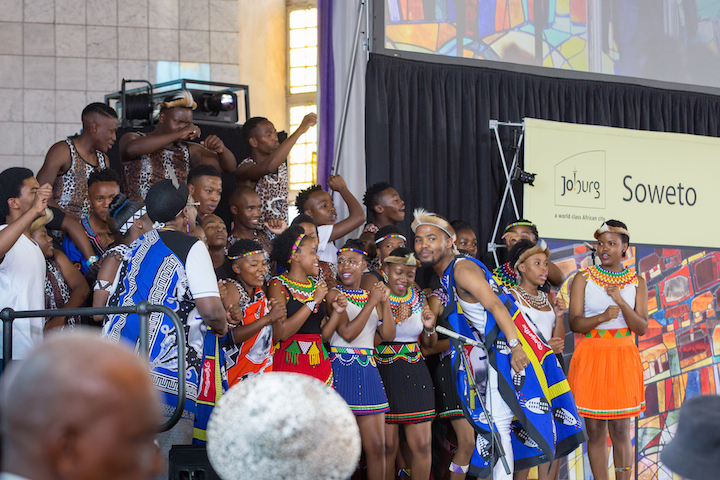 The city of Johannesburg also supported the December events as part of its 16 Days of Activism campaign to raise awareness about the negative impact of violence against women and children. The international 16 Days of Activism effort is supported by the United Nations and is commemorated each year between November 25, the International Day for the Elimination of Violence Against Women, and December 10, Human Rights Day. 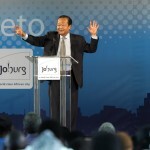 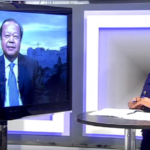 During his remarks in Soweto, Prem Rawat emphasized that cultivating a sense of self-love and open-heartedness is key to solving domestic violence problems. Soweto is a collection of historically black townships, and the event was held at Regina Mundi, the largest Catholic Church in South Africa. 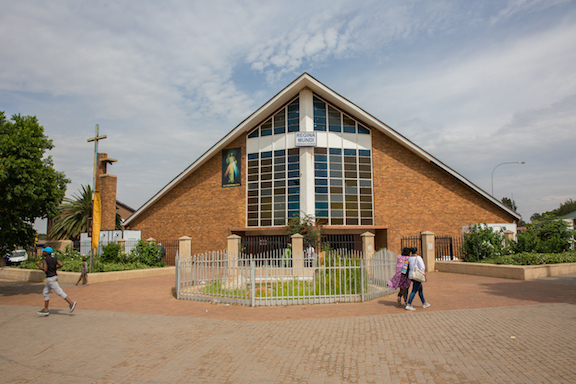 Regina Mundi is Latin for “Queen of the World,” and the venue is steeped in symbolic significance. Often referred to as “the people’s cathedral,” the church historically opened its doors to anti-apartheid groups and provided shelter to activists protesting the oppressive apartheid regime. 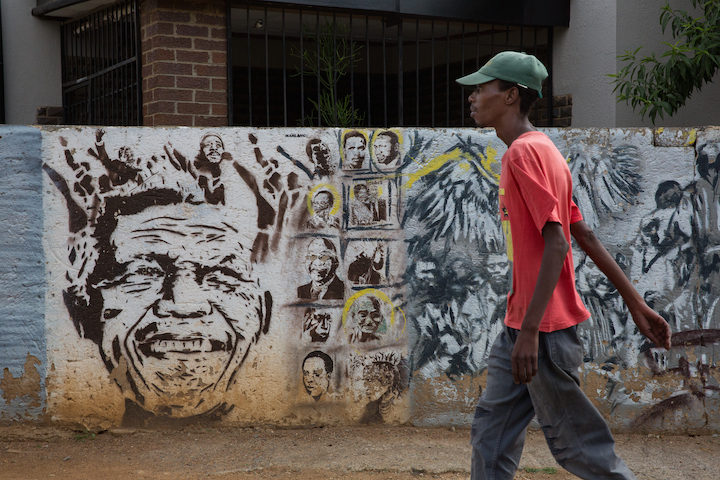 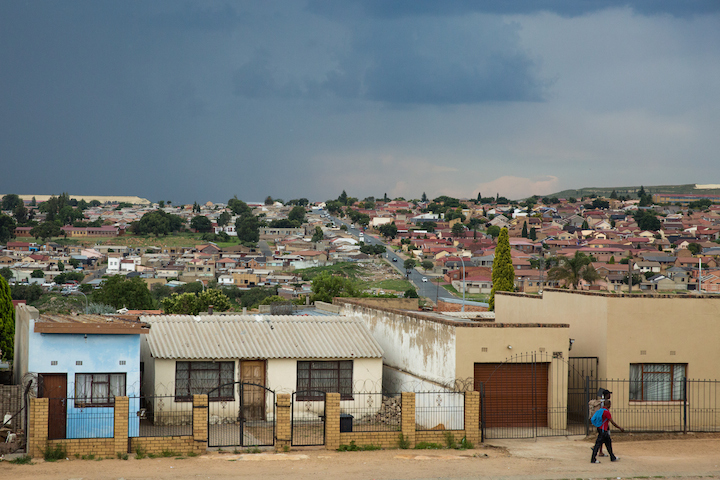 The building still bears the scars of the Soweto uprisings of June 16, 1976 when police shot at peaceful protestors—including children—who fled there seeking refuge. After the white regime was replaced with a multiracial democracy, President Nelson Mandela spoke at Regina Mundi and Archbishop Desmond Tutu presided over the Truth and Reconciliation Commission hearings there. 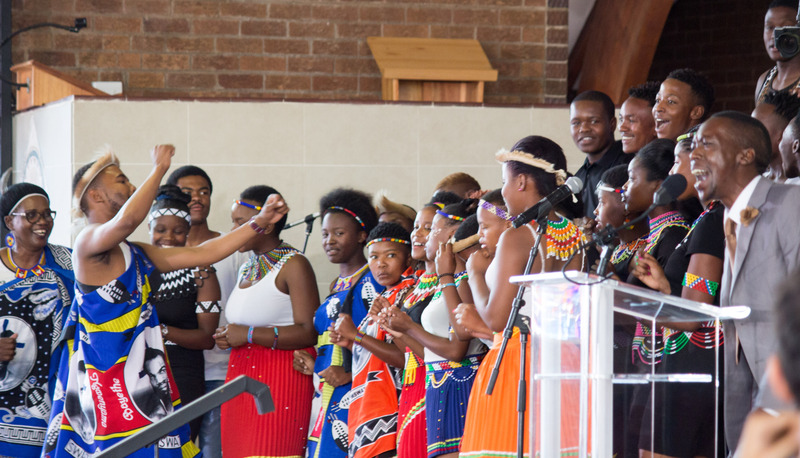 More recently, U.S. First Lady Michele Obama addressed the Young African Women Leaders Forum at the church. 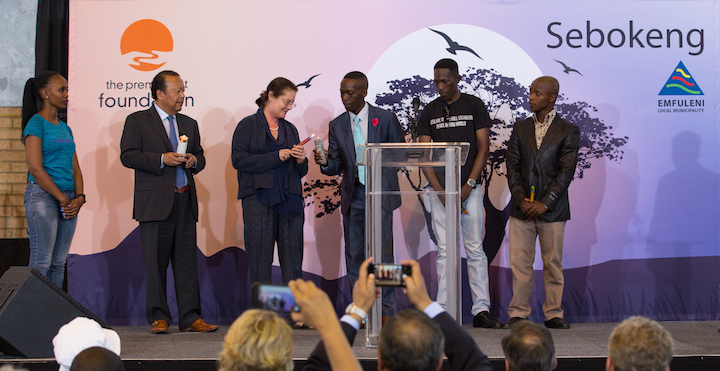 During the TPRF event, Ernest Leketi said he sees Prem Rawat and the PEP as complementing the trailblazing reconciliation efforts of Tutu and Mandela. 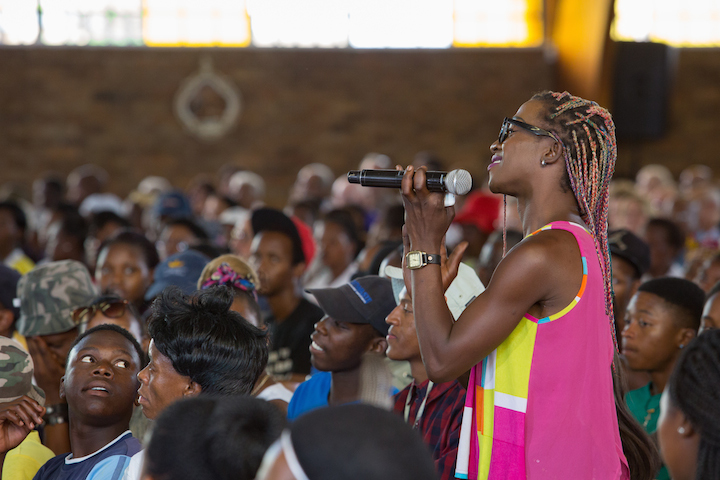 He said that PEP is helping reduce crime and violence and that he would like to see the program expand throughout the nation and continent. 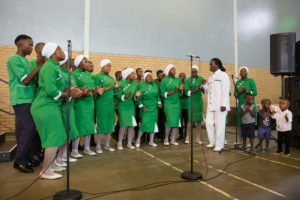 A representative of the Johannesburg Correctional Services department gave Prem a Certificate of Appreciation, noting how the PEP has had a positive impact on inmate behavior. Last year, national officials approved the PEP to be offered at every correctional facility in the country. 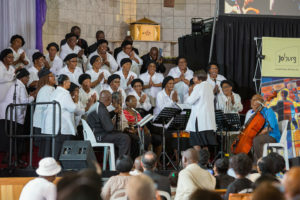 At Regina Mundi, Prem, who was previously blacklisted by apartheid officials for refusing to abide by segregation rules at public speaking engagements in the 1970s, discussed the meaning of true forgiveness and reconciliation. Speaking to a smaller group of PEP participants and school children a couple of days later at the Saul Tsotetsi Sports Center in Sebokeng, Prem Rawat expanded on the theme of forgiveness, sharing a wide range of stories and metaphors to emphasize that developing a sense of inner hope, gratitude, self-understanding, and self-reliance can help lead to a life of deep happiness and contentment. Using the analogy of a lit candle, Prem said a person who is living that kind of life can also be a positive influence on the people around them, contributing to building better communities and societies. 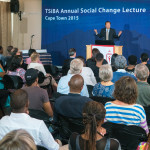 He demonstrated the point by holding two candles, noting how a lit candle can light an unlit candle. “That, my friend, is what you have to become. 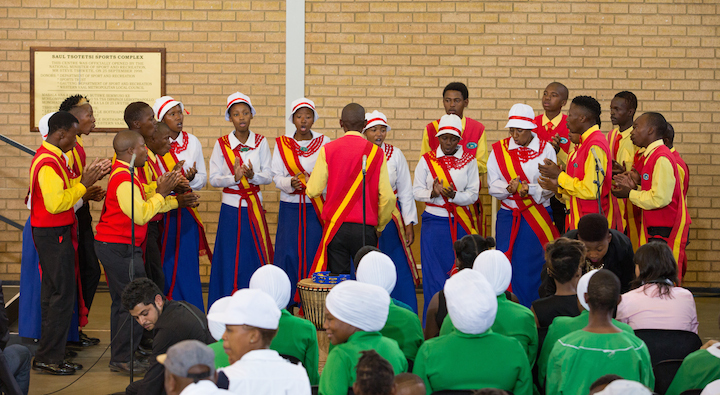 You have to become a lit candle. And when you are a lit candle, it doesn’t matter how many candles that are unlit you go to—you will light them up,” he said. 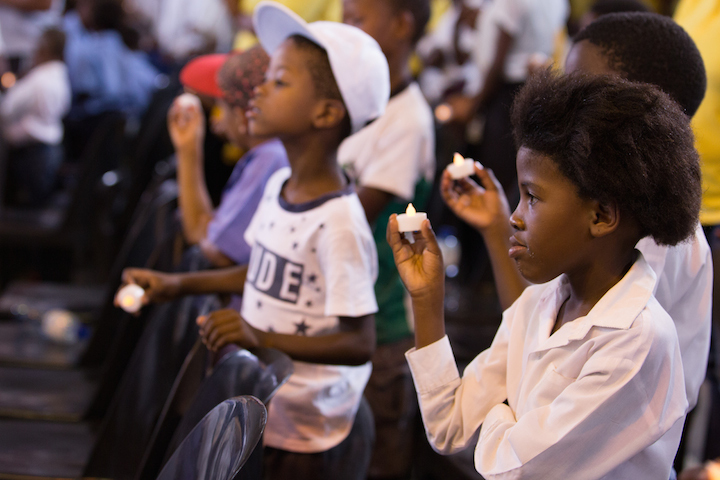 In a powerful display of hope, many attendees were given candles and each took turns lighting another’s flames. 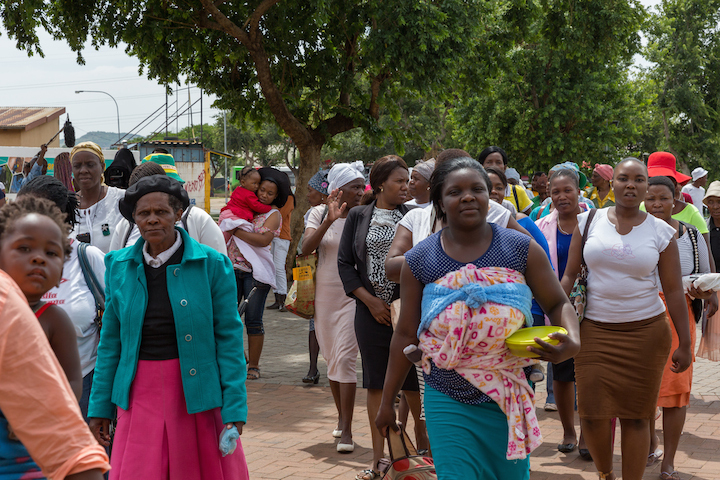 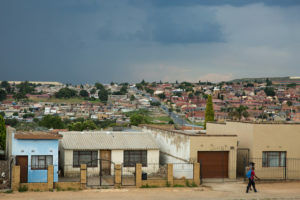 Both the Soweto and Sebokeng events also included open discussion sessions, meetings with NGO and governmental leaders, and a wealth of celebratory musical, dance, and poetry performances. 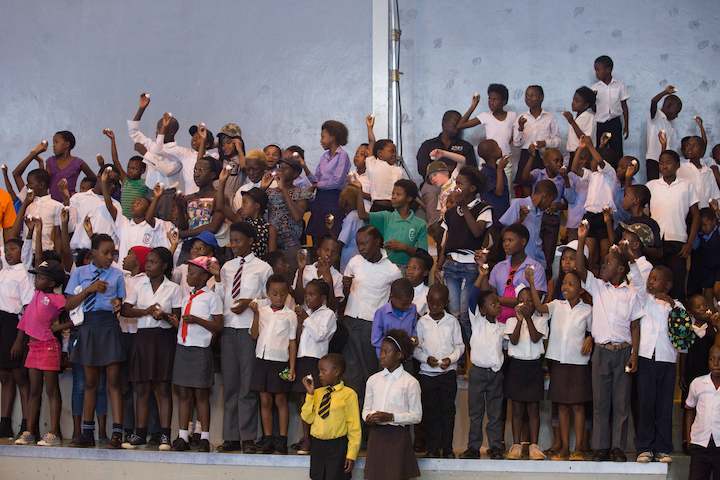 A roundup of local media coverage can be viewed here. 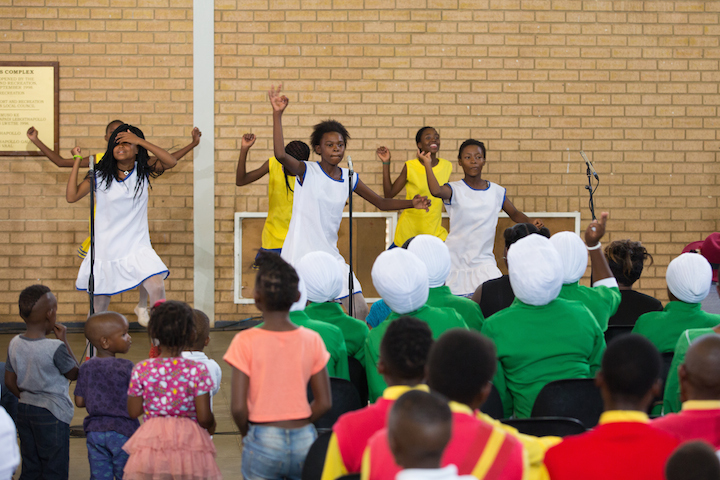 Learn more about peace education in South Africa here.